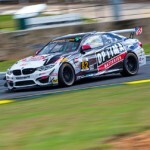 Tough weekend for the Virginia-based BMW tuning and aftermarket specialists sees the No. 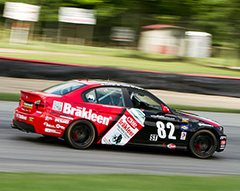 82 CRC BRAKLEEN® BMW 328i driven by Seth Thomas and Dan Rogers lead the team home in 12th. 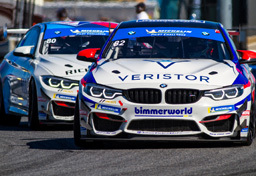 The BimmerWorld Racing team had designs on filling the GRAND-AM Continental Tire Series podium at Mid-Ohio with its trio of BMW 328is last weekend after the team’s exhibition of speed at the last round in Atlanta. But a rare occurrence played out in the Street Tuner class which saw the Nos. 80, 81 and 82 entries all finish outside the top 10. Efforts by the team to use the talents of its drivers, effective race strategy from its engineers and rapid pit stops from its crew weren’t enough to overcome a frustrating day of on-track activity. Altogether, the Mid-Ohio event will be one team owner/driver James Clay and his team of BMW experts will look to put it behind them with shifting their focus to getting ready to race at Watkins Glen on June 28. Seth Thomas, who led the No. 82 CRC BRAKLEEN® BMW 328i home to a 12th-place finish with co-driver Dan Rogers, persevered on a day where winning was out of reach. Tyler Cooke, who shares the No. 81 BimmerWorld BMW 328i with Gregory Liefooghe, gained more experience during the race that will help him as his career continues to flourish. A similar note came from Greg Strelzoff, who partners with Connor Bloum in the No. 80 BimmerWorld BMW 328i. 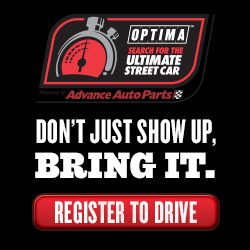 Follow the team’s progress throughout the weekend atwww.BimmerworldRacing.com, and catch the Mid-Ohio race when it airs at 4 p.m. ET June 23rd on SPEED.